Happy first day of June! It's a fresh new month which means a new set of favorite posts. 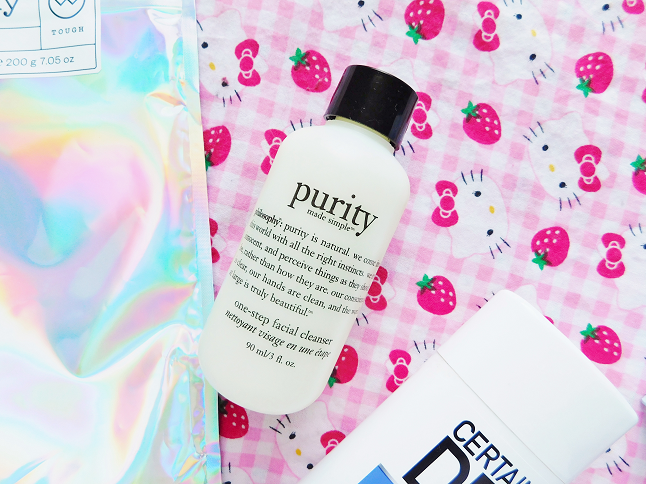 Starting with my beauty favorites here are my top picks that I ended up using the most in May. 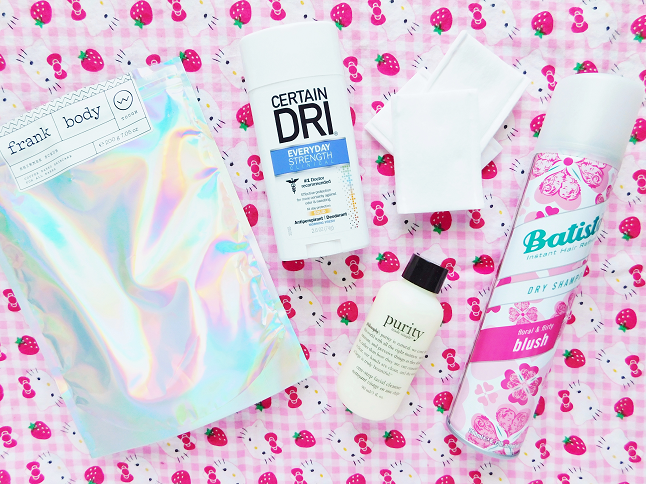 Three of the products featured in this post are actually throwbacks which is fantastic because it's #throwbackthrusday! I bought this cleanser hoping it would heal my skin after breaking out from the Cosrx cleanser and it did! My skin is so picky with cleansers but a couple years ago this was my go-to cleanser because it was gentle on my skin and didn't cause any breakouts. Since going cruelty-free I've been throwing out products that test on animals and replacing them with cruelty-free options. While I do enjoy using the LUSH No Drought Dry Shampoo it's not the best when you are in a hurry and need to freshen up your hair quickly. 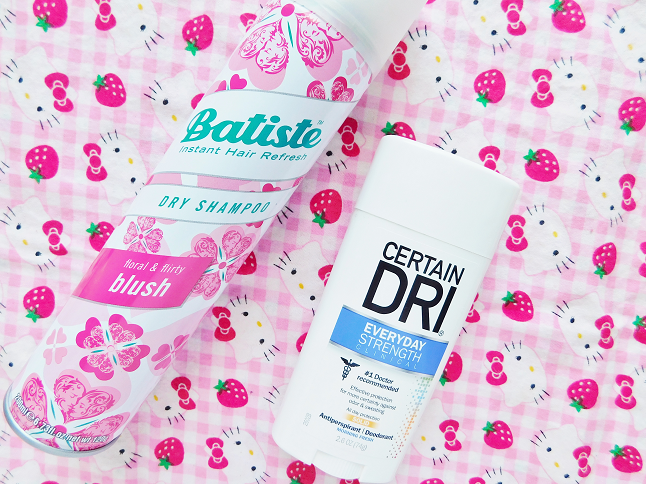 Batiste is one of my favorite dry shampoos because it makes your hair appear clean, gives volume and comes in many different variations. Compared to other dry shampoos out in the market it's kind of pricey but you are paying for a quality dry shampoo that doesn't test on animals so I say it's worth it. Another product I had to replace is my deodorant. 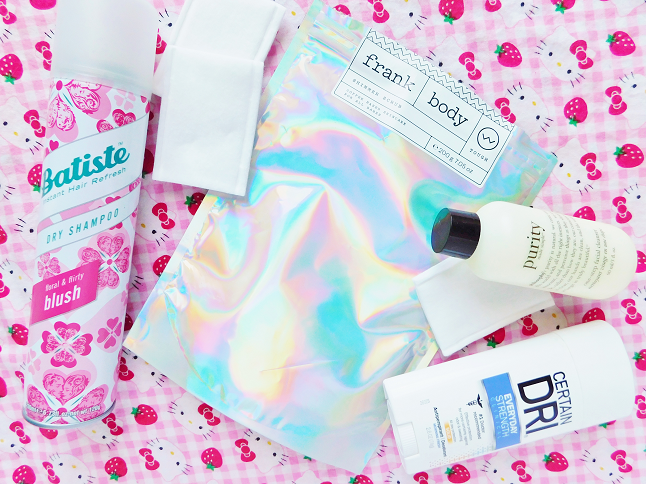 I sweat a lot and need a deodorant that can combat against my sweat but still leaves me smelling fresh, thankfully Certain Dri does that! I actually used Ceratin Dri in the past but stop buying it because they stop stocking it at my local shops. This antiperspirant/deodorant not only works for me but it's also cheaper than my previous favorite which is a win-win! I know these were just featured in my recent haul but I have been using them for a couple days and I've in love with them! You can separate one puff up to 5 layers so that I can have more puffs to use. 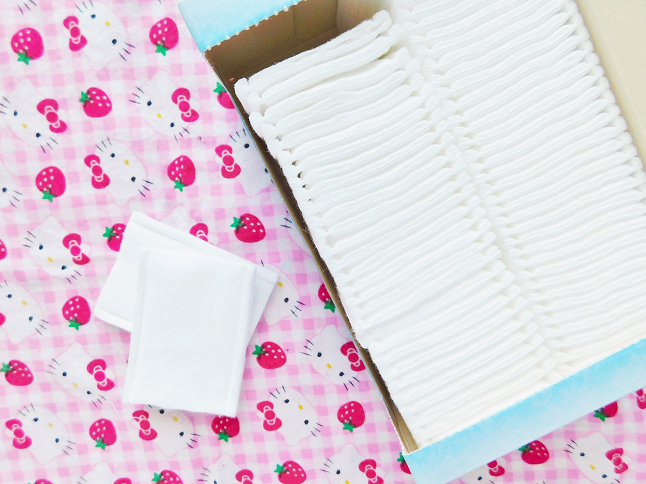 You can also stretch them without them ripping or leaving any fluffy lint. 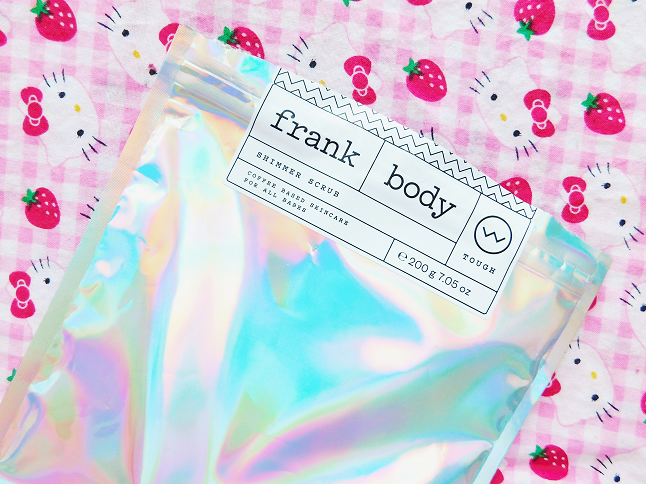 I bought the Frank Body Shimmer Scrub back in the beginning of May when unicorns were trending really hard. This scrub is marketed as a body scrub that gives you glowing iridescent smooth skin. I do plan on making a separate post on this scrub so I won't spoil anything. All I can say is that this makes my body super soft! Plus, the bag is so pretty! Ooo I can't wait to see the shimmer body scrub post. I have a friend that would absolutely love it if it does what I think it does lol. You answered my prayers with the deo! I'm the same with sweating. Living in the south and walking everywhere definitely doesnt help. I'm going to have to give Certain Dri a try!